I recently made a blogpost on the Fiberygoodness blog on my thoughts about how we go about branding our fibre art works. I think that as artists and crafters we are naturally most focussed on our creative projects rather than how the rest of the world might see it, and in fact I see that as one of the keys to successfully branding what we have made when we do take it to market. In my eyes, what makes your work different from mine, or anyone elses, is the culmination of who you are, what you have done, the things you have experienced, and the way you view the world. The goal of branding is to make that obvious, to create something that is recognisable as ‘yours’, so when people see it they know you made it. And then, like me, you might wonder what makes your beautifully spun natural coloured Merino from a commercial top prep any different from the next persons. How about this.. it is the way you feel about it that makes it different. It is the wheel you spun it on, the room you sat in, the people around you while you spun it, the love you felt for the fibre in your hands, the place you got that merino from, and your own enjoyment of your final skein. These are all difficult abstract things to try and embody into a single photo of your yarn when you put it online to sell it! 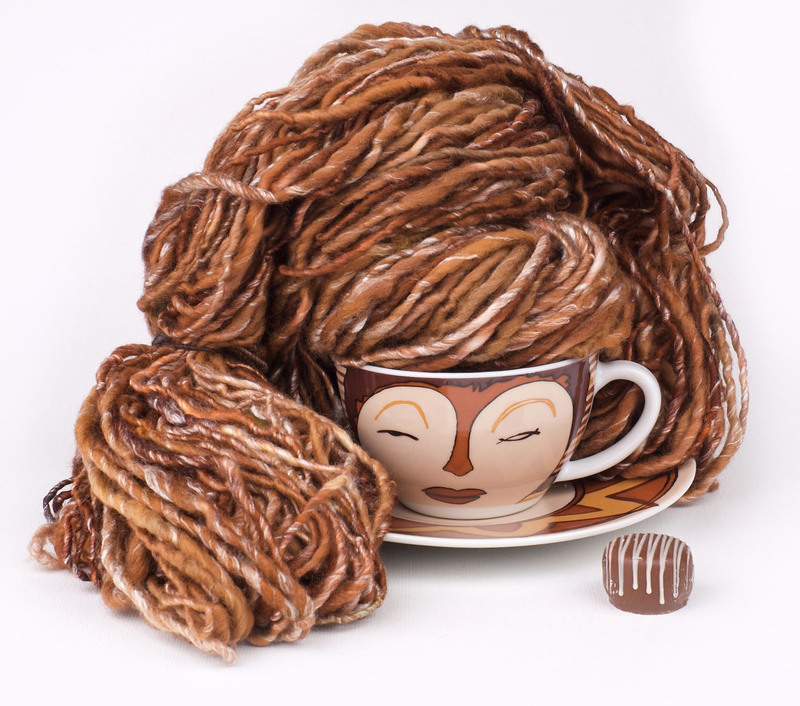 In my blogpost I have started with some ideas on how you can start to identify and pinpoint the things that shout ‘this is me’ in your yarns and fiber, and the next post will be about how to highlight those things in your product photos. I hope you find something useful! Head over to the Fibergoodness blog for the rest! Yes! I actually find that I’m enjoying the marketing side of things, but I’ve never stopped to analyse how I approach this task. You’ve given me food for thought. A banquet, in fact! Thanks.